Stylish Star Allu Arjun's new movie announcement in the direction of Trivikram Srinivas has been made, and the film marks the actor's 19th project. Coming to Allu Arjun, Trivikram film shoot details, the cameras will roll from second week of February, in the Valentine’s Day week. This yet-untitled film will be wrapped up quickly and is aiming for targeting a Dussera festive release. Kiara Advani is rumored to be playing Allu Arjun's female lead in the movie, while it is jointly being produced by Allu Aravind and Radhakrishna. The exact date of shoot commencement is to be made yet. 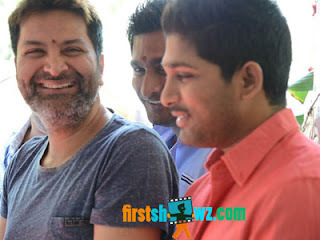 Trivikram directed Allu Arjun earlier in the movies Julayi and S/O Satyamurthy, and they are hoping to comeback for a hattrick film. The film's announcement has been made after a long wait, and Bunny fans are expecting no less than a blockbuster.